The Snake Spring Church of the Brethren Welcomes You! “Continuing the work of Jesus. The Church newsletter is mailed every two months to all church families as well as all residents of Snake Spring Valley. View our bimonthly calendar to see upcoming events. View the blog written weekly by our pastor, David Grimes. Have a question? See if it's answered on our Frequently Asked Questions page. Donations are always welcomed to support our ministries and outreach programs. We thankful for a generous and helpful congregation. We are working to rekindle our youth program. See what fun activities we have in store throughout the seasons. View videos of weekly services on our YouTube Channel. To get directions to the church, click this button and type in your address above the church's address. 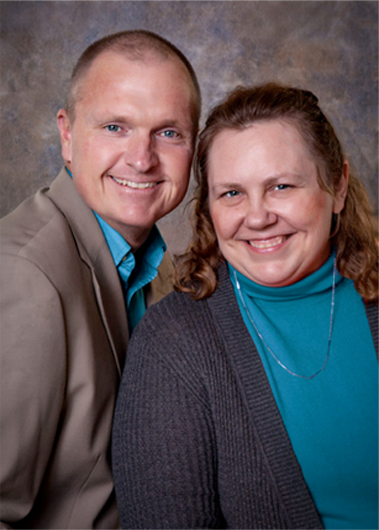 The Snake Spring Valley congregation of the Church of the Brethren is pleased to have David Grimes and wife Stephanie as their pastor. Originally from West Virginia, he worked in the family logging and firewood business for two decades. His interests are a love for reading and learning new things, especially traveling to foreign countries. Through seminary training requirements and mission trips, he has visited Peru, Vietnam, Cambodia, South Sudan and Uganda. His travels have taken him to Istanbul (formerly Constantinople) in Turkey, learning about the history of the Eastern Orthodox Empire and Islam. The tour group also visited the sites of the seven churches mentioned in Revelation as well as the island of Patmos in Greece. Stephanie is an LPN and has worked as a nurse for several years. She enjoys reading, walking and traveling. They have been married for 30 years and are the parents of two adult daughters.